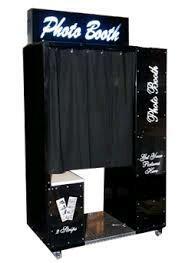 OUR PROFESSIONALS WILL COME, SET UP AND OPERATE THE PHOTO BOOTH FOR 4 HOURS. THIS PACKAGE INCLUDES COLOR OR BLACK AND WHITE PHOTO STRIPS THAT PRINT AND CUT IN 7.5 SECONDS. YOU WILL ALSO HAVE THE OPTION TO ADD TEXT TO YOUR PHOTO STRIPS TO CUSTOMIZE YOUR EVENT AND CHOOSE YOUR BACKGROUND COLOR. YOUR GUESTS CAN CHOOSE TO LEAVE A 30 SECOND VIDEO MESSAGE AFTER THEY TAKE THEIR PICTURES AND YOU WILL GET A DIGITAL COPY OF ALL PICTURES TAKEN AND ALL YOUR VIDEOS. YOU CAN ALSO CHOOSE TO HAVE YOUR GUESTS BE ABLE TO UPLOAD THEIR PICTURES TO FACEBOOK OR EMAIL INSTANTLY. PHOTO BOOTH IS (L)30"x (W)50"x(H)78"
* Please call us for any questions on our photo booth rentals in Tacoma, Lacey WA, Olympia and the South Sound Metro area.